He was there in ’78 with a lump in his hairy throat when a young Björn Borg sank to his knees on the hallowed Wimbledon grass. 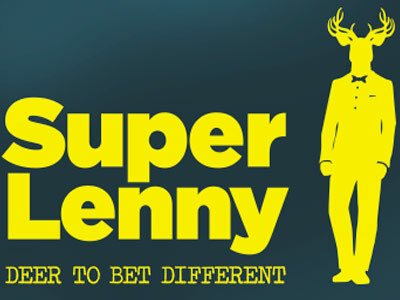 You hang with SuperLenny and you will be guaranteed a ride. Access all areas, the inside scoop and an after party at the casino that’ll explain his legendary status. Once you befriend Lenny you start a partnership you sometimes want to sing about; and it’s a partnership for life. SuperLenny is all about enjoying life to the fullest, and doing it in style. If he’s not bringing joy to your life, he’ll do what he can to help you out, that’s just the kind of guy he is. If you feel that it’s less fun and starting to be a bit too much, you can limit your gaming by setting up a limit for yourself or restrict your account access for a certain time period. Read more here or set a limit once you are logged in. SuperLenny.com is operated by Betit Operations Ltd, a company registered in Malta with registration number C60173 and address GIG Beach, The Golden Mile, Triq Id-Dragunara, St. Julians, STJ 3148, Malta. Betit Operations Ltd is regulated by the Malta Gaming Authority (MGA) of Malta, and holds License Number MGA/CL1/898/2013, issued on 25/11/2013. Betit Operations Ltd is also licensed and regulated by the Gambling Commission of Great Britain under the license number 39482. SuperLenny Sportsbook is operated by MT SecureTrade Limited, a company incorporated under the laws of Malta with registration number C56545 and registered address at GIG Beach, The Golden Mile, Triq Id-Dragunara, St. Julians, STJ 3148, Malta. MT SecureTrade Limited is licensed and regulated by the Malta Gaming Authority under the licence MGA/CL2/1122/2015 (issued on 30 March 2016) and SuperLenny Sportsbook site is made available to the United Kingdom under the Combined Remote Operating Licence 000-039575-R-319439-004 issued to MT SecureTrade Limited by the Gambling Commission of Great Britain on 03 January 2017.